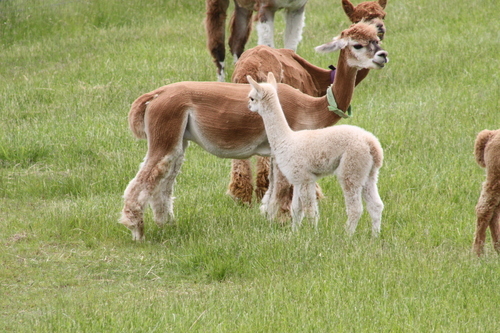 Painted Sky Alpaca Farm, is thrilled to make Garrison available to the breeding community. 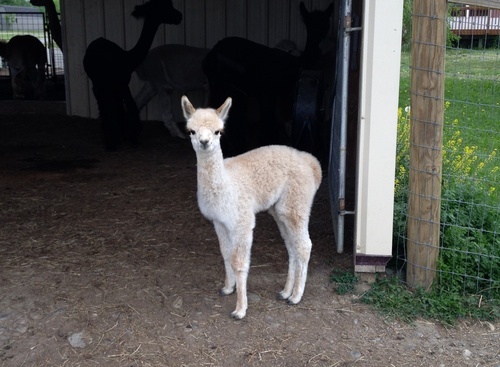 Painted Sky Alpaca Farm welcomes Abenaki Penibagos to our herd. 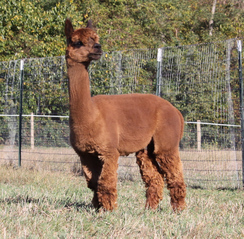 Abenaki Penibagos, born on the 1st of October (which is what her name means in Abenaki) has a wonderful pedigree, including Bueno and Augusto as Grandsires. 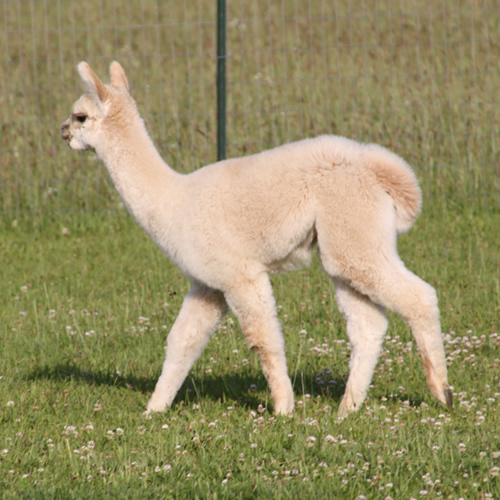 AC D'artagnan was bred to the densest female Lexanna, and we were not disappointed with the results. 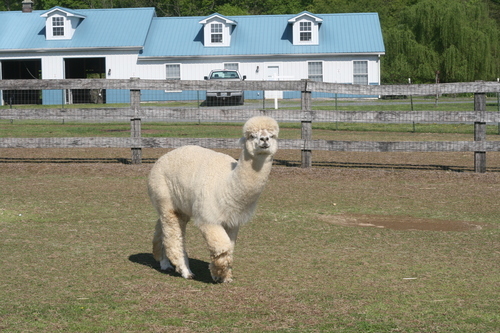 We are thrilled with our Garrison (9 time champion) son Viserion. 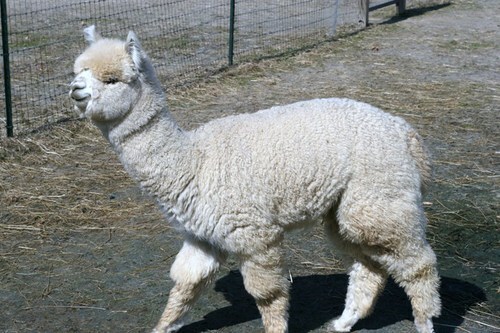 He has super soft light fawn fiber (16.9 microns), lots of crimp, nice staple length and uniformity. 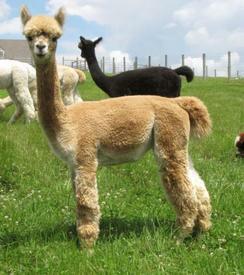 His genetics are excellent as is his conformation.